1. Print a copy of your essay—be sure to print preview and ask Mrs. Barbre, our media specialist, for permission to print. The first two pages are free; each page after that is 10 cents. Let’s make sure you have no blank pages in your paper. 2. After you have printed a copy and submitted it to me, please post your poetry essay here. Remember to include only your first name. Thank you! Poetry, a way of expressing yourself by the use of words . Poetry, to some people is great.To others not so great. Poetry can be very defined,strict, or abide to rules. Also poetry can be free,unruled, crazy and liberated. My expiriences with poetry have been good and bad. I have learned a lot about the different types of poetry, and the ways of writing. But I always seen to have trouble with writing poetry. I am personally very creative but not when it comes to poetry. I have trouble arranging the many different words. Personally,I think some poetry is very interesting but it takes a lot from a poem to get me really into it. I have to be interested in the topic or it must relate to me in someway to keep my attention. I don’t really know how I would define poetry. To me poetry is an art form. You can express how you feel about someone whether it’s love or hatred. You can show what you are feeling about the things going on in the world like global warming, gas prices, or the upcoming presidential election. It can help you ease the pain from a loss in your life. Poetry can be a hobby that you do on the weekends for fun. No matter how you use poetry, to me, it is an art form. Through out school poetry has not really come up. In fact I do not recall ever talking about poetry in my last year literature class. I enjoy reading the romantic love poems also enjoy to write love poems. Love poems are just a more appealing form of poems to me. I do not dislike the other genres of poetry but they aren’t as interesting. Love poems are just an easier way to tell someone how you feel. I don’t know exactly how I feel about poetry. I mean I do love poetry but it’s not the best thing in the world. Poetry is a great way to pass the time but it isn’t my favorite way to pass the time. I don’t feel that poetry is important in society unless it is put into a song. Everybody listens to music whether it is rap, pop, rock, etc. Music is just a poem with a beat. Since everyone listens to music everyone likes some form of poetry. What is poetry? I think that poetry is kind of a simpler version of a story. 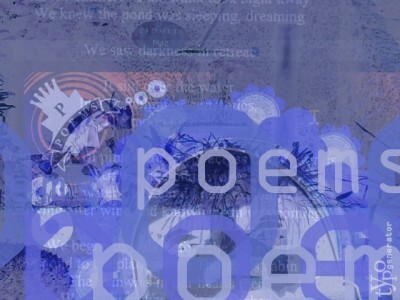 This is because often you’ll read about an event but you miss out on everything leading up to that particualar event.Poetry uses a good amount of imagery and it has a lot of in-depth description. Whenever I read poetry, I have been able to paint a clear picture in my mind of what everything looked like, you almost feel as if your there. I also think poetry is more deep than any genre of writing. When you read poetry there is more of a connection between the author or narrator and then reader. In the previous years, I have worked with poetry very minimal. Mostly because most of my past literature teachers found poetry to be very boring and not a fun topic to study. We touched on it very little, basically I learned the things I needed to know. My tenth grade year was the only year I actually did a segment with poetry. We learned how to write it and to understand what we have read. I honestly don’t remember one poem I have read in the past. This is probably because poetry is not my favorite genre to study. Although I do not particualarly like poetry, I feel that it is a good way for others to express themselves and their feelings. Poetry to me is very boring. This might be due to the fact that I do not understand anything that I am reading. It very hard for me to grasp the purpose of a poem or to find the moral of it. Poetry to me doesn’t flow together and I don’t like that. Also, I cannot write poetry at all so therefore I do not like it. I think poetry is used in a different way then it used to be used in. Poetry is most likely now to be used in music. All music is made up of poetry in my opinion. I do not think that there are many people left today that still write poetry through stories. Through the music industry, poetry is very important. As a rational “by the book” thinker when it comes to school related things, I give poetry no more meaning than it deserves. This may very well be a direct quote that lacks proper citation; however, poetry is nothing more than a group of stanzas that often rhyme. As opposed to prose, it usually tends to contain more imagery (when compared in percents) and tends to be much shorter (albeit epics are quite large). Poetry in my school life is a sad story of disappointment. In fact, when I stepped into my literature class that day, it seemed as though the room was an autopsy room. In front of us lay corpses disguised as paper, and we proceeded to study and dissect them. Apparently, every single line had a meaning and we were meant to understand each single abstract idea at a glance. It surprised me; how did they expect an apathetic being to learn to understand all of the feelings in the poems? I’ve always believed that poets have tried to make a point when writing poems. In all of their incomprehensible metaphors, they were trying to teach us a lesson or, at times, prove to their lovers that they were truly worthy. I do not think of poems as beautiful works of art, but I do believe that in order to truly appreciate a poem that one must first be experienced in life. Nostalgia is what one should feel when reading a poem, not understanding. Rationalizing feelings kills them, and I know this from experience. Ignorance is bliss. Poetry, much like any form of entertainment, is not by any means a necessity in society. Surely, watching a good movie, reading a book, listening to music can, I assume, be intriguing to most people, but we don’t need these things. These things make us feel “happy,” but the truth of the matter is that all we need to survive is food, water, and shelter. A progressive society grows; a happy society intoxicates itself in entertainment and is soon conquered by another. Summary: Poetry’s true definition is the only one that I shall agree with. Constant examination of poems in school killed them for me. Poetry cannot be easily appreciated. Poetry is no more necessary than movies and television. I believe the concept of poetry, is writing what you feel I your heart or mind, and expressing it in rhyming ways. Poetry is not a rap or hip hop, but is a way people escape from their thoughts and write them down in a stanza based on the way they feel. My experience with poetry is common. I have read a couple of poetry stories last year and the year before. I read poems like “I Offer This Poem, “A Red Rose,” and many more. Although I do not hate poetry because I believe it’s a great way for people to express themselves. I believe that I have enough experience to understand the concept and how the person is feeling in the poem. I feel strong about poetry. I love the way poetry make people put their feelings towards a beat or rhythm, and make the words rhyme and the end of each stanza. I am really interested in poetry and what is has to offer me. I love the way people express themselves and put an image in your head, as if you were there with them. I do believe that poetry is important to today’s society. I think people have every right to write how they feel in a creative way, and use poetry to escape from their worries and enter their “poetry world.” It also inspires a lot of people to pursue their dreams and hopes, by being motivated from the poems that people write. Poetry is an expression of ones thoughts and emotions through words. Poetry is a creative way to show emotion using symbols. It makes it interesting for the reader to try and figure out the meaning using context clues. Poetry can be interpreted in many ways depending on the reader. Things that sounds sad to one reader maybe happy and exciting to the next. In elementary school, we didn’t read hardly any poetry. We have discussed what it is and some elements, but we didn’t really read any. The only one I remember is one by Robert Frosts. I really enjoyed it. I read quite a few poems in 9th grade. My favorite poet is Emily Dickenson. Her poem “Hope is a Thing with Feathers” is my favorite. I like reading poetry, but it is awkward for me to write it. For some reason I really have a hard time finding the words and making it flow. I love the concept of me writing poetry and have tried many times, but when I sit down to do it I freeze up. It never seems to sound right. Even though I love poetry, I don’t feel like it is important. Many people enjoy it, but it isn’t essential to society. I think it is important for people to express their thoughts and feelings, but you can use journals or diaries. I also don’t think it is a good idea now a day to write poetry in today’s society because it could be interpreted in very wrong ways. I believe that poetry is way of purging the soul of things that may be plaguing a person’s mind and spirit. It allows you to put your feelings out in the open and expose yourself. Revealing yourself and making yourself vulnerable to the world relaxes you somehow, instead of keeping everything bottled up inside and always feeling that that you have something to hide from the world around you. When you hide things and keep them bottled up inside, you’re basically trying to lie not only to the world, but yourself as well. No matter how hard you try, you can’t lie to yourself – it just doesn’t work. In your heart of hearts, you know the truth and are desperate to let it out – for someone else to know what you are feeling, and poetry is a way to do that. Freshman year, I had Mrs. Frost for Honors Literature. In her class, we did a poetry unit where we wrote various types of poetry. One of these was a sonnet with the topic of “The Seven Deadly Sins”. I chose to write about Lust. I don’t remember why I chose this, but I did. I was surprised to find that I did an exceptional job on my sonnet. I personally think it was the best thing that I have ever written. After that, I began to dabble in a little poetry of my own. I actually ended up writing quite a few poems after that – one of which I wrote for my best friend who was just having a hard time with life. Poetry is basically just ay to let your feelings out. To put them onto paper and into the world as concrete evidence of how you feel. I personally have found it quite cathartic. It really helped me deal with stress that I had during my freshman year. My best friend is not only the most amazing person I know, but she is also a terrific poet. I’m currently trying to get her to compile some of her best works and publish a poetry book. I believe that poetry is very important in today’s society. Not really as a way to make money, but more as a way for people to purge their souls. Because let me tell you, when you put your feelings out in the open that way, you feel like a huge burden has been lifted from your shoulders. There is many ways to define poetry. If I had to define poetry I would say that poetry consists of rhyming words of meaning you feel though writing. Poetry can be a variety of feelings. Poetry can be emotional and can have lots of symbols, you can relate to in life. My previous experiments with poetry though kindergarten though 12th grade is that I didn’t learn too much until I started getting into higher grades. In elementary school, we would listen to poems and be taught that they are rhyming words. As soon as I got into middle school, we learn more than I have in high school about poetry. In 7th grade we learned about all the different kinds of poems and how to write different ones. Haiku, couplet, free verse, are only a few of the ones I learned in middle school. The reason I haven’t learned that much in high school is because they focus on Shakespeare poetry that they forget about teaching us the basic so we can follow. I know some people have been taught it and understand Shakespeare but we should learn basic poetry before we learn about poetry that doesn’t even have English words in it. How do I feel about poetry? I can’t stand reading something I cannot relate to in my own personal life. Even though I hate reading it I do enjoy writing it because I can take what is on my inside and put it in document kind of like a dairy. Now the only poetry that catches my eyes is when the title can be related to me and it interests me to read it. Do I feel like poetry is important in today’s society? Absolutely not, because all it is, is writing. Poetry cannot help the economy much less do anything beside sit on a piece of paper and make people enjoyed for a little bit. If poetry was important in today’s society then it would be more broad and be way more popular because it would be important for people to know. Also the school would teach us more than just, Shakespeare. To define poetry is a very complicated task. Depending on the person, it could be taken many ways. One person might say it is an expression of feelings and emotions, while another would say it simply rhymes words. I myself am not a fan of poetry, but I do believe there is a deeper meaning than simply rhyming words. I did a unit of study dealing with poetry in 6th grade, and every grade after that as well. I have read many, many types of poetry over those four years of that I’ve dabbled in the subject. The poems that I usually tend to enjoy the most are typically any work from Edgar Allen Poe, or another darker writings. I’m not a Goth or anything, but I do enjoy the darker poetry more than most of the other styles. As for poetry that I hate, see anything having to do with the word “Haiku”. My feelings for poetry are difficult to describe. It by no means is my first choice of literature, but I have no deep hate or any negative feelings for it either. My major issues I have with it is either, I don’t get the “meaning” behind it, or it’s so boring I’d rather gouge my eyes out. Poetry in today’s society is important, not to me personally, but to many other people. I know that to some people, poetry is the only way that they can express themselves. I write songs to express my emotions and I think that it’s important to express yourself in one way or another. Especially in this crazy society we live in today. In K-6 my experiences in poetry were horrible. I hated poetry. I didn’t like to read it and I especially did not like to write it. Now I don’t mind reading poetry. I prefer not to write it because I’m not so good at it. I am personally not into poetry. I have written a few poems. They were not so good though. There has been one poem that I wrote which is very good. Everyone I read it to says they like it. Ironically I wrote it when I was depressed. I think poetry is important in today’s society. Poems can cheer people up when they are sad or depressed. They can expand your mind and also you imagination. Poetry is a form of literary expression distinguished from prose chiefly in its emphasis on the line as the unit of composition. Poetry to me also is something that uses a lot of imagery and descriptive words to tell a certain meaning. Poetry expresses many feelings and moods. Poetry can be used as a thing to say how you feel about something, and yet people try to cipher what it is that you say. My experience with poetry is pretty large; in 9th and 10th grade I explored much of poetry. I have read many poems like: a haiku, sonnet (different types of sonnets). I like haiku’s because, they are simple but yet can be very elegant at the same time. I dislike Shakespearean sonnets because; I hate Shakespeare’s vocabulary it is difficult to understand at times. A poet that I like to read from is Edgar Alan Poe because; his writing style was so unique to everyone else’s at the time. My feelings about poetry differ. I like some poetry; I like Edgar Alan Poe’s style of poetry. Then there is some poetry that gives me headaches because; they are just hard to understand. When it does come to reading poetry I am not a big fan of it. I never write poetry and I doubt that I ever will. Poetry it seems to me is something that someone is born to like because; they have the tolerance for it, but to others like me poetry is something very bland and boring. My feeling to whether or not poetry is important to society is no. Poetry is not important to today’s society because; now we have movies and other things to keep us entertained. Poetry is not important to today’s society because; people now a day’s are also just to busy with their lives. There are some people I’m sure that still like poetry. People are to busy with school or job or even family to worry about poetry. People have kind of moved on from the old ways of poetry and now they go out and party or movies. I think poetry is like a bunch of words that are supposed to sound pretty together. Poems are like lyrics for a song that isn’t supposed to sang and has no instrumental. Poetry is a tasteful arrangement of words. Tasteful in this case would be when emphasis is put on making the words sound pleasing by it’s rhythm and continuity from one word to the next. The meaning of a poem generally isn’t what makes it a poem. But the meaning of something can be mad emotional by adding emotional quality to it. Poems are generally supposed to be emotional. Poems typically aren’t studied in great detail in school. I think that’s because the majority of poems are short and unconcise, leaving no space for a lot of meaning. I’ve probably read a ton of them. But I don’t remember anything specific. I usually don’t need to remember anything about it after the test until the finals. I’ve never had to remember stuff for it after that. When I have to study poems in school, usually all I have to know is what it was about, and the author. Sometimes I have to write one, but it’s never a real serious assignment. I don’t really like poetry. It’s not meaningful enough. When I read something, I want a lot of detail. I want a awesome storyline or useful information. Poetry almost never has that. I’ve never found a useful or interesting poem before. It just too boring. I think poetry isn’t important at all to most of society. It’s like a downgraded version of music. Compared to music, poetry might as well be normal speech. Plus you can’t dance to it. I think poetry is sorta obsolete now. How to define poetry in my own words. I believe that poetry is a way to express yourself and feelings. Poetry is a great form of writing that many people have trouble understanding. Poetry has many different forms and expressions. Poetry has emotion, feeling, imagery, and all kinds of attitudes. When I’m writing lyrics for a song I see that there is deeper meaning behind the words you use. In lots of poems the meaning can be very put out, but if you look closer the meaning is much greater. My experience with poems throughout K-12 has not been very much. I have been listening and reading poetry since seventh grade. The most interactive I have been with poetry was in the ninth grade. Working with poetry in the class helped me start finding deeper meaning in a poetic work. Lyrical poetry is what interests me most as of now. Famous poet Robert Frost has been one to learn from. Poetry is a great way to express thoughts and feelings. Writing poetry has been a great way in understanding more diverse ways of explaining the topic. Poetry is usually very meaningful and well thought out. Poems have been used in many ways such as love, peace, hatred, war, comedy, drama, and so much more. Poetry today is a great way to reach out to different types of people and groups. Depending on what the poem is about, it can effect the reader. Poetry can move people’s minds in having better thinking skills. All different groups of people read or like poetry one way or another. People who are more into drama, art, music, and comedy are most likely into understanding poetry. People who are more into football and are more sports driven, like the usual school “Jock” would most likely say they don’t like poetry but love music. Music is a form of poetry, lyrical poetry. Songs today can have a huge impression on a person. The lyrics can lift their hearts or make them sad. Poetry is always listened to or read no matter who you are. Poetry to me is a way to express yourself in an exaggerated, extreme, and emotional rant. Moreover, because it’s poetry, ranting with emotion is perfectly acceptable. Poetry is the time tested method of complaining, winning someone’s love, or making someone laugh in a creative, often beautiful manner. Poetry also takes creativity to new fronts and heights in epic poems, lyric theatre, songs, ballads, and in some cases, even modern day raps. Poetry has followed me most of my life, despite my best efforts to shake its unwanted grasp on my mind. I have had to complete some sort of poetry project every year since fifth grade. I’ve had to write, though had me be to strong a connotation since it had its enjoyable moments, numerous poems for school. In recent high school years, I’ve also been required to research and analyze famous poems such as classics by William Wordsworth and William Butler Yeats. I’ve read everything from deep, allegorical poems such as “The Second Coming” by William Butler Yeats and even a few lighthearted poems. Some I’ve loved and predictably hated a few as well. I’ve even been subjected to the Iliad and the Odyssey and other epic poems I’ve grown to dread. The best thing I got out of poetry through school was a taste for my favorite poet, e.e. cummings. Poetry in some tastes is a wonderful thing. I love poetry that is written satirical intentions. On the other hand, I hate sappy love poems. I like poetry I can believe. That doesn’t include melodramatic poems written to lost lovers. I’m picky when it comes to poetry, but if I like a poem, I also love it and it will be imbedded deep in my brain for a surprisingly long time. Furthermore, it’s a shame that poetry is neglected and forgotten in many circles of modern society. Despite it being thrown to the side, it still plays an important role. There are still plenty of new generation poets writing and expressing themselves. Along with, though they might not admit it, a free styling skilled rapper is really just an amped up poet. Poetry is a form of free expression, it allows the writer to express how one feels about a specific topic. There are many types of poetry, my personal favorite is free verse; writing in free verse allows me to put all my feelings into a creative work of “art.” I consider poetry an art form composed of your inmost thoughts and feelings. Through poetry you can create “images” in a reader’s mind through vivid descriptions created by words. The list of possibilities through poetry is endless. In my former school years I’ve done quite a bit of poetry lessons and projects. I’ve composed many poetry books which have been compiled of all sorts of different types of poems. Poetry projects are my all time favorite type of project to work on. In doing these projects I’ve learned so much about poetry and I’ve earned a greater love for poetry that I didn’t have before. I feel very strongly about poetry. Without poetry I wouldn’t be able to express my feelings through words. I’ve gone through many life changing experiences in life and without poetry I’d never of been able to get through them. It’s like I “escape” when I write poetry, it makes me go beyond my normal thinking level onto a higher level to be able to creatively compile my thoughts into words. I feel that in today’s society if we didn’t have poetry more people would either suffer problems due to not properly displaying their true feelings in a positive manner. Poetry is a form of how people escape from their reality of problems. Poetry should be more spread and taught throughout today’s society. I would define poetry as written emotion. Poetry to me is some ones feelings just written and rhymed. Wither it be the writers emotions or some one the writer knows emotions. Poetry can either be happy or sad it really varies on the writer. I personally like to write poetry it calms me down. It lets me write down my emotions freely in my own way instead of being mad or sad all the time. In my previous years of reading poetry I have noticed I only like poetry that rhymes. I don’t really like depressing poetry or dramatic poetry. I’m more of a comedy type of girl. Plus sometimes when I ready long depressing poetry I get really confused and have to stop reading and that’s not good. The first poem I ever read was green eggs and ham by Dr. Seuss. I can still recite most of the poem even though I read it first in third grade. Chicken soup for the teenage soul is a book a like to read a lot. It’s filled with poetry from all kinds of people that relate to teenagers. Poetry can make me happy or sad. It really affects my mood whenever I read it. Sometimes if I’m in need for advice ill crack open my chicken soup book and look for a poem that is closely related to my problem. This has helped me for many years now or actually just three. I’m not a major fan of poetry though sometimes I find it dull and boring. I can’t say I’ve ever written a legit poem. I think poetry is kind of important in society today because of our rapping society. Also our music is mostly just poetry put to a beat. Rappers write there raps to rhyme and catch people’s attention. That’s not much a difference from poetry except its more public and it has a beat to it. People define poetry many different ways. When someone asks me what poetry is I think of anything beautiful, emotional, or very well done. I’m sure everyone has heard about the man sees the perfect football play executed and states, ‘that was poetry’. That sums up me and my personal view on what poetry is. Poetry can be almost anything to me. It can be lyrics, pictures, or even a set of actions. Poetry is emotion put into words, not just words in a set form on a page. I haven’t done very much in school with poetry until this past year. Ever since I first tried to write poetry I’ve been hooked. In my literature class we had to do around 15 poetry explications this year, so I learned from that and started adding in different things to my personal poetry. I also acquired a set of favorite poems, writing techniques and styles, and poets. To me, poetry and prose have always been my way to clear my mind of anything and everything. I’m a perfectionist in my personal life along with most of the people I surround myself with. When something goes askew or off-track in general I take time out and stay at my computer and write. I channel any anger, hurt, fear or any other emotion extreme into my words. Once I get a rough outline of what I want to have, I focus intently on trying to clean and polish my words until they shine and get my point across, but not without the few rough edges of raw emotion. Once I’ve finished and have something I can be proud of my emotion that was driving me has disappeared, almost as if I’ve locked it into the very words. Writing will almost always be a big part of my life, even after high school. Poetry doesn’t get recognized enough today as it should. Poetry is a great thing, and there’s always something out there for everyone in poetry. Even if you don’t completely understand the meaning the author intended with the poem, you can always find one you connect to on a very basic personal way. Poetry can make someone feel and get a point across better than a fired up conversation face-to-face with someone a lot of the time. Poetry isn’t something that should stay locked up in schools and libraries. Poetry should be for everyone. I don’t know how exactly how to define poetry, I guess it is a form of expression, even if it is spoken or written. It is the feelings, and intellect a person has. It is a way of communicating, with poetry one can effectively communicate their opinion, desire, ideas, and most of all state of mind. Although poetry is a supreme form of expression. Poetry can describe pain, pleasure, love, hate, etc. People say that poetry is a great way of venting their emotions, some people are said to be “emo” just because they are very emotional. Maybe it’s the people who are calling other people emo are emo themselves. That’s just my opinion though, people write poetry for different reasons. Honestly I believe that Poetry is one of the hardest things to do, for me that would be true.